The Beastie Boys have filed a lawsuit against Monster Energy Drink for copyright infringement and encroachment of the Lanam Act, the primary federal statute that governs United States trademarks. Monster supposedly used the group's music, without consent, in videos and social media campaigns promoting an event called Ruckus in the Rockies. On Tuesday, the Beasties' attorneys filed a suit with the U.S. District Court of New York seeking a permanent injunction on the adverts and media, plus $150,000 in damages for each copyright infringement. The attorneys say the videos were posted around May 9th, five days after Adam "MCA" Yauch passed away. 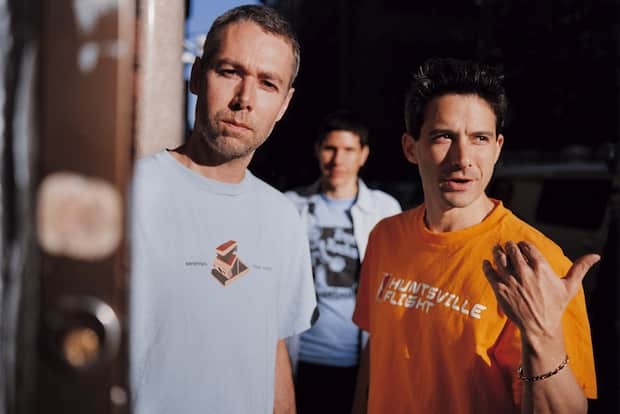 A copy of Yauch's will was obtained by Rolling Stone earlier this week; they reported it contains a clause prohibiting the use of MCA's image, likeness, music and artistic endeavors in advertisements.